Legge instantly saw the connection between his family’s farm work and the efforts of Food First NL. “I have been in farming for a while, and sat on many boards, but the rise of this organization, and its ability to garner attention and achieve success, is second to none,” he says. Darryl Legge is a third-generation farmer, so he’s been involved in farming for most of his life. “I started farming after university, and bought my farm at the age of 30,” says Legge. 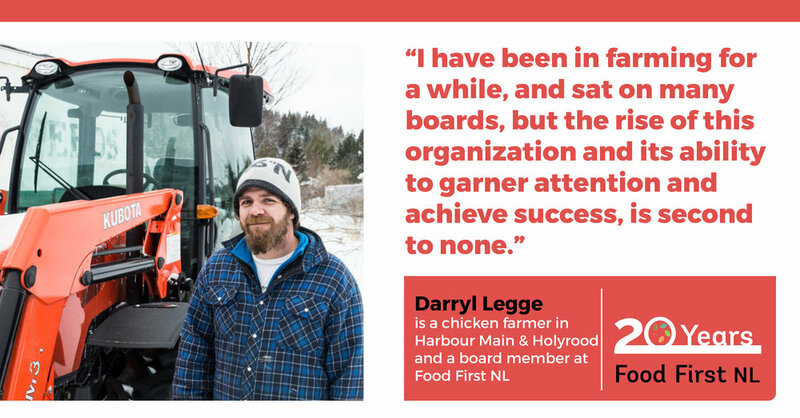 He then got involved with as many farming organizations or boards as he “could possibly be involved in,” and it was through some of these boards that he was introduced to the work of Food First NL. 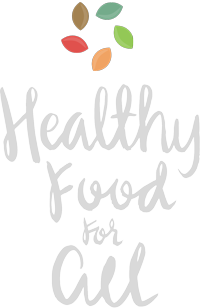 Legge instantly saw the connection between his family’s work and the efforts of Food First NL. “I have been in farming for a while, and sat on many boards, but the rise of this organization, and its ability to garner attention and achieve success, is second to none,” he says. “When given the opportunity to join, I was very excited to see if I could be of any assistance to achieve their goals.” He says the general public are more aware and concerned over where their food comes from now, how it is grown, and that people are growing more of their own, and supporting local agriculture; a change Darryl feels is also a credit to the efforts of Food First NL. Click here for the 20 Voices from 20 Years archive.